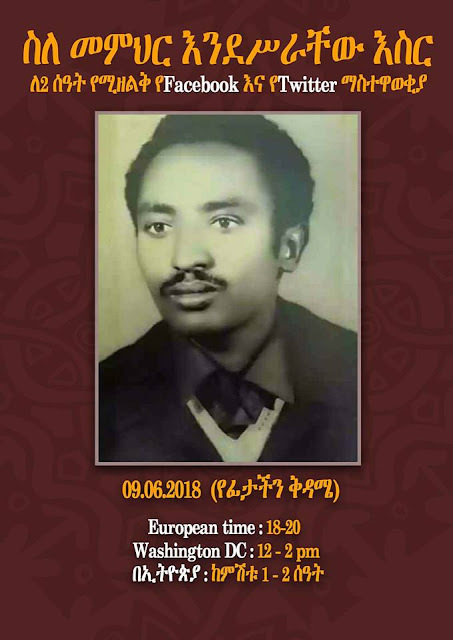 የአማራ ብሔራዊ ንቅናቄ የተሰኘ አዲስ ንቅናቄ ባህርዳር ላይ ተመስርቷል።የንቅናቄው እድሎች እና ፈተናዎች ምንድናቸው? 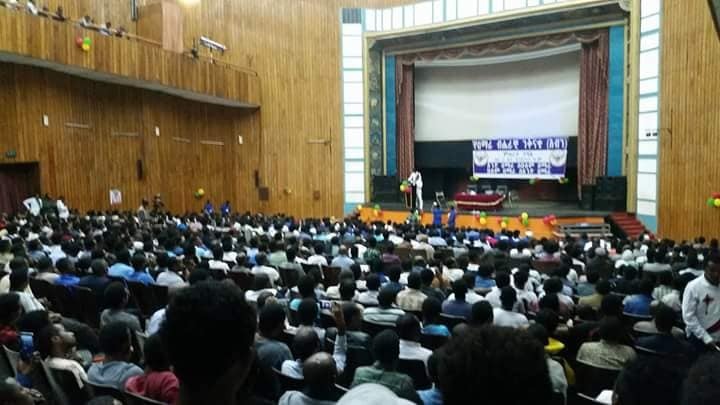 - የእዚህ አይነቱ አቅጣጫ ቀያሪ ውሳኔ ሲደረግ ሕዝብ ቀድሞ እንዲወያይበት ለአደባባይ ማቅረብ አይገባም ነበር ወይ? - በጉዳዩ ዙርያ የባለሙያ ጥናት በተለይ ከትርፍ እና ኪሳራ አንፃር ብቻ ሳይሆን ከኢትዮጵያ ታሪካዊ እና ባህላዊ እሴት አንፃር መታየት ያሉባቸው ጉዳዮች ታይተዋል ወይ? - የእዚህ አይነት ውሳኔ ከሁለት ዓመት በኃላ በሚኖር ምርጫ ፓርቲዎች የሚያቀርቡት የውድድር አጀንዳ መሆን አይገባውም ነበር? 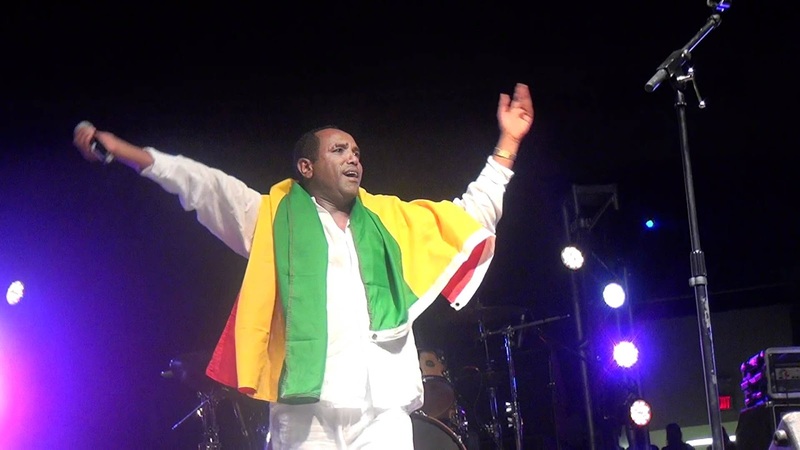 - እንደ ኢትዮጵያ አየር መንገድ ያሉ የሀገር ምልክት የሆኑ ድርጅቶችን በቀላሉ በውጭ ሀገር ባለሀብቶች እጅ ማስገባት የሚያመጣው ጉዳት ተጠንቷል? 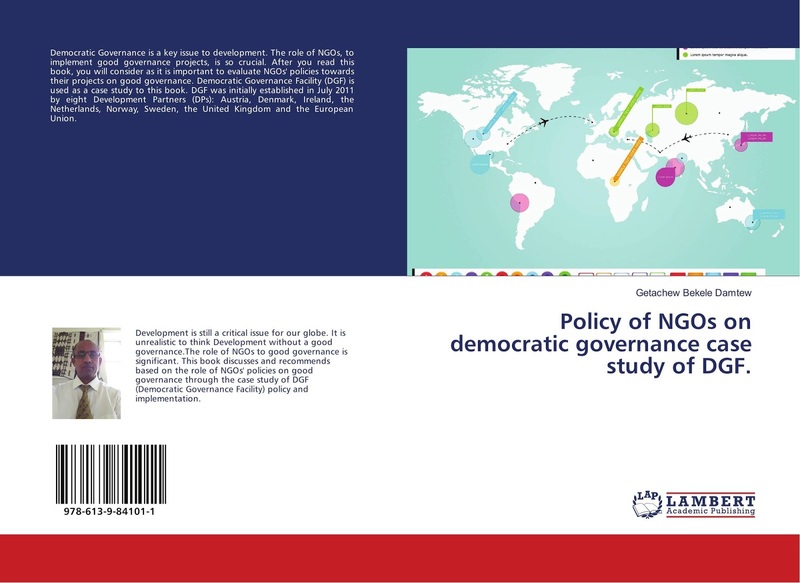 - የመገናኛ ብዙሃን በታፈኑበት ሀገር የውጭ ባለ ሀብት ምን ያህል የሀገር ሕግ አክብሮ እየሰራ እንደሆነ እና እንዳልሆነ ለሕዝብ የሚነግር በሌለበት ሀገር የውጭ ባለ ሀብቶች ከባለስልጣናት ጋር የሚሰሩትን ህገ ወጥ ተግባር ለሕዝብ ማን ይነግረዋል? 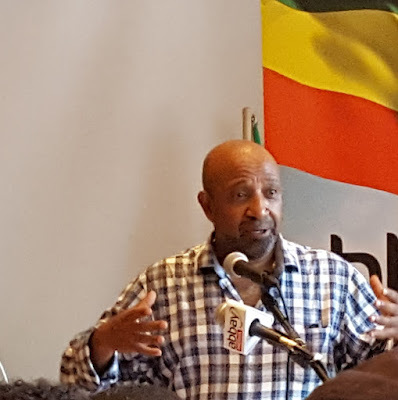 - የፓርላማ አባላት እና ፓርላማው እራሱ የሀገሪቱን ፖለቲካዊ እና ምጣኔ ሃብታዊ እንቅስቃሴዎች የመረዳት፣የመተንተን እና ተከራክረው ሕግ የማስቀየር አቅም አላቸው ወይ? Agreement Between Eritrea and Ethiopia signed in Algiers, 12 Dec. 2000. The parties shall permanently terminate hostilities between themselves. Each party shall refrain from the threat or use of force against the other. The parties shall respect and fully implement the provisions of the Agreement on Cessation of Hostilities. In fulfilling their obligations under international humanitarian law, including the 1949 Geneva Conventions relative to the protection of victims of armed conflict ("1949 Geneva Conventions"), and in cooperation with the International Committee of the Red Cross, the parties shall without delay, release and repatriate all prisoners of war. In fulfilling their obligations under international humanitarian law, including the 1949 Geneva Conventions, and in cooperation with the International Committee of the Red Cross, the parties shall without delay, release and repatriate or return to their last place of residence all other persons detained as a result of the armed conflict. The parties shall afford humane treatment to each other's nationals and persons of each other's national origin within their respective territories. In order to determine the origins of the conflict, an investigation will be carried out on the incidents of 6 May 1998 and on any other incident prior to that date which could have contributed to a misunderstanding between the parties regarding their common border, including the incidents of July and August 1997. The investigation will be carried out by an independent, impartial body appointed by the Secretary General of the OAU, in consultation with the Secretary General of the United Nations and the two parties. The independent body will endeavor to submit its report to the Secretary General of the OAU in a timely fashion. The parties shall cooperate fully with the independent body. The Secretary General of the OAU will communicate a copy of the report to each of the two parties, which shall consider it in accordance with the letter and spirit of the Framework Agreement and the Modalities. Consistent with the provisions of the Framework Agreement and the Agreement on Cessation of Hostilities, the parties reaffirm the principle of respect for the borders existing at independence as stated in resolution AHG/Res. 16(1) adopted by the OAU Summit in Cairo in 1964, and, in this regard, that they shall be determined on the basis of pertinent colonial treaties and applicable international law. 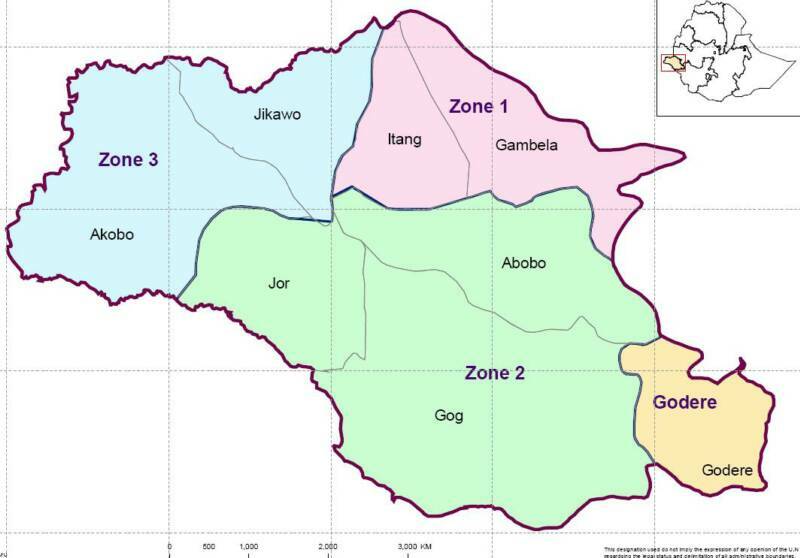 The parties agree that a neutral Boundary Commission composed of five members shall be established with a mandate to delimit and demarcate the colonial treaty border based on pertinent colonial treaties (1900, 1902 and 1908) and applicable international law. The Commission shall not have the power to make decisions ex aequo et bono. The Commission shall be located in the Hague. Each party shall, by written notice to the United Nations Secretary General, appoint two commissioners within 45 days from the effective date of this agreement, neither of whom shall be nationals or permanent residents of the party making the appointment. In the event that a party fails to name one or both of its party-appointed commissioners within the specified time, the Secretary-General of the United Nations shall make the appointment. The president of the Commission shall be selected by the party-appointed commissioners or, failing their agreement within 30 days of the date of appointment of the latest party-appointed commissioner, by the Secretary-General of the United Nations after consultation with the parties. The president shall be neither a national nor permanent resident of either party. In the event of the death or resignation of a commissioner in the course of the proceedings, a substitute commissioner shall be appointed or chosen pursuant to the procedure set forth in this paragraph that was applicable to the appointment or choice of the commissioner being replaced. 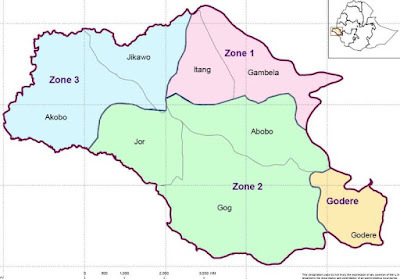 The UN Cartographer shall serve as Secretary to the Commission and undertake such tasks as assigned to him by the Commission, making use of the technical expertise of the UN Cartographic Unit. The Commission may also engage the services of additional experts as it deems necessary. Within 45 days after the effective date of this Agreement, each party shall provide to the Secretary its claims and evidence relevant to the mandate of the Commission. These shall be provided to the other party by the Secretary. After reviewing such evidence and within 45 days of its receipt, the Secretary shall subsequently transmit to the Commission and the parties any materials relevant to the mandate of the Commission as well as his findings identifying those portions of the border as to which there appears to be no dispute between the parties. The Secretary shall also transmit to the Commission all the evidence presented by the parties. With regard to those portions of the border about which there appears to be controversy, as well as any portions of the border identified pursuant to paragraph 9 with respect to which either party believes there to be controversy, the parties shall present their written and oral submissions and any additional evidence directly to the Commission, in accordance with its procedures. The Commission shall adopt its own rules of procedure based upon the 1992 Permanent Court of Arbitration Option Rules for Arbitrating Disputes Between Two States. Filing deadlines for the parties' written submissions shall be simultaneous rather than consecutive. All decisions of the Commission shall be made by a majority of the commissioners. The Commission shall commence its work not more than 15 days after it is constituted and shall endeavor to make its decision concerning delimitation of the border within six months of its first meeting. The Commission shall take this objective into consideration when establishing its schedule. At its discretion, the Commission may extend this deadline. Upon reaching a final decision regarding delimitation of the borders, the Commission shall transmit its decision to the parties and Secretaries General of the OAU and the United Nations for publication, and the Commission shall arrange for expeditious demarcation. 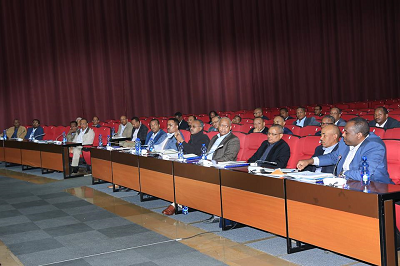 The parties agree to cooperate with the Commission, its experts and other staff in all respects during the process of delimitation and demarcation, including the facilitation of access to territory they control. Each party shall accord to the Commission and its employees the same privileges and immunities as are accorded to diplomatic agents under the Vienna Convention on Diplomatic Relations. The parties agree that the delimitation and demarcation determinations of the Commission shall be final and binding. Each party shall respect the border so determined, as well as the territorial integrity and sovereignty of the other party. Recognizing that the results of the delimitation and demarcation process are not yet known, the parties request the United Nations to facilitate resolution of problems which may arise due to the transfer of territorial control, including the consequences for individuals residing in previously disputed territory. The expenses of the Commission shall be borne equally by the two parties. To defray its expenses, the Commission may accept donations from the United Nations Trust Fund established under paragraph 8 of Security Council Resolution 1177 of 26 June 1998. Consistent with the Framework Agreement, in which the parties commit themselves to addressing the negative socio-economic impact of the crisis on the civilian population, including the impact on those persons who have been deported, a neutral Claims Commission shall be established. The mandate of the Commission is to decide through binding arbitration all claims for loss, damage or injury by one Government against the other, and by nationals (including both natural and juridical persons) of one party against the Government of the other party or entities owned or controlled by the other party that are (a) related to the conflict that was the subject of the Framework Agreement, the Modalities for its Implementation and the Cessation of Hostilities Agreement, and (b) result from violations of international humanitarian law, including the 1949 Geneva Conventions, or other violations of international law. The Commission shall not hear claims arising from the cost of military operations, preparing for military operations, or the use of force, except to the extent that such claims involve violations of international humanitarian law. The Commission shall consist of five arbitrators. Each party shall, by written notice to the United Nations Secretary General, appoint two members within 45 days from the effective date of this agreement, neither of whom shall be nationals or permanent residents of the party making the appointment. In the event that a party fails to name one or both of its party-appointed arbitrators within the specified time, the Secretary-General of the United Nations shall make the appointment. The president of the Commission shall be selected by the party-appointed arbitrators or, failing their agreement within 30 days of the date of appointment of the latest party-appointed arbitrator, by the Secretary-General of the United Nations after consultation with the parties. The president shall be neither a national nor permanent resident of either party. In the event of the death or resignation of a member of the Commission in the course of the proceedings, a substitute member shall be appointed or chosen pursuant to the procedure set forth in this paragraph that was applicable to the appointment or choice of the arbitrator being replaced. The Commission shall be located in The Hague. At its discretion it may hold hearings and conduct investigations in the territory of either party, or at such other location as it deems expedient. The Commission shall be empowered to employ such professional, administrative and clerical staff as it deems necessary to accomplish its work, including establishment of a Registry. The Commission may also retain consultants and experts to facilitate the expeditious completion of its work. The Commission shall adopt its own rules of procedure based upon the 1992 Permanent Court of Arbitration Option Rules for Arbitrating Disputes Between Two States. All decisions of the Commission shall be made by a majority of the commissioners. Claims shall be submitted to the Commission by each of the parties on its own behalf and on behalf of its nationals, including both natural and juridical persons. All claims submitted to the Commission must be filed no later than one year from the effective date of this agreement. Except for claims submitted to another mutually agreed settlement mechanism in accordance with paragraph 17 or filed in another forum prior to the effective date of this agreement, the Commission shall be the sole forum for adjudicating claims described in paragraph 1 or filed under paragraph 9 of this Article, and any such claims which could have been and not submitted by that deadline shall be extinguished, in accordance with international law. 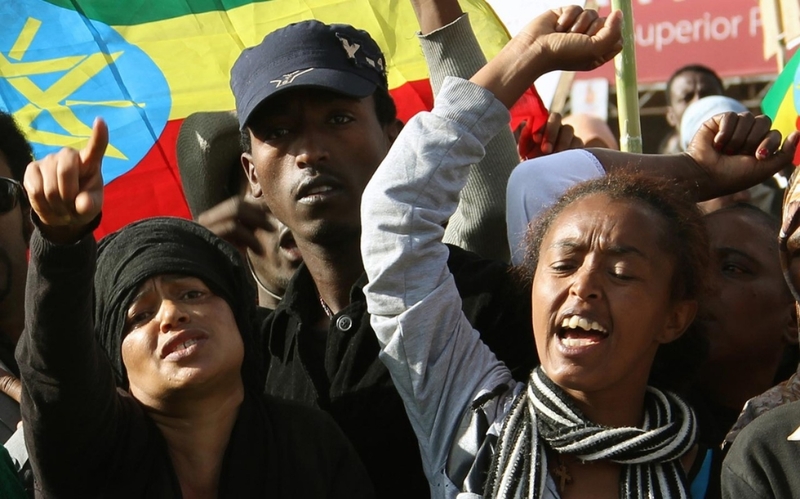 In appropriate cases, each party may file claims on behalf of persons of Eritreans or Ethiopian origin who may not be its nationals. Such claims shall be considered by the Commission on the same basis as claims submitted on behalf of that party's nationals. In order to facilitate the expeditious resolution of these disputes, the Commission shall be authorized to adopt such methods of efficient case management and mass claims processing as it deems appropriate, such as expedited procedures for processing claims and checking claims on a sample basis for further verification only if circumstances warrant. Upon application of either of the parties, the Commission may decide to consider specific claims, or categories of claims, on a priority basis. In considering claims, the Commission shall apply relevant rules of international law. The Commission shall not have the power to make decisions ex aequo et bono. Interest, costs and fees may be awarded. The expenses of the Commission shall be borne equally by the parties. Each party shall pay any invoice from the Commission within 30 days of its receipt. The parties may agree at any time to settle outstanding claims, individually or by categories, through direct negotiation or by reference to another mutually agreed settlement mechanism. Decisions and awards of the Commission shall be final and binding. The parties agree to honor all decisions and to pay any monetary awards rendered against them promptly. Each party shall accord to members of the Commission and its employees the privileges and immunities that are accorded to diplomatic agents under the Vienna Convention on Diplomatic Relations. The parties authorize the Secretary General of the OAU to register this agreement with the Secretariat of the United Nations in accordance with article 102(1) of the Charter of the United Nations. በኢትዮጵያ ፖለቲካ ያሉብን ችግሮች ምንድናቸው? የብሔር ፖለቲካ በኢትዮጵያ እንዴት መጣ? የ1983 ዓም የብሔር ፖለቲካ ዋነኛ ስህተት ምንድነው? የለማ ቡድን (ዶ/ር ዓብይ) የለውጥ ዕድል በተመለከተ እንዴት እንሂድ? 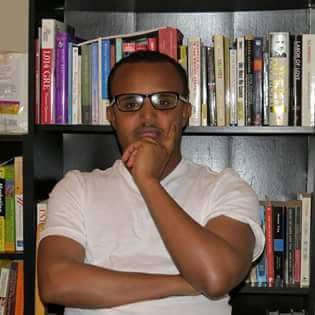 የእነ ለማ ቡድን (ዶ/ር ዓብይ) የለውጥ ኃይል ከሌሎች ሀገሮች ምን መማር አለበት? ፖለቲካ እራሱን ችሎ ከምር አደረጉት እና በርዮት ዓለምነት ብቅ ያለው በ1983 ዓም ነው።"